Payroll system is one of the most important employee related system in any organization howsoever small it may be. Calculating accurate payroll and disbursing employee salaries in a timely manner determines the image of a company and is strongly linked to employee satisfaction. However, calculating salaries accurately and paying it as per policy is not a simple task since it includes many complex calculations such as tax deductions of various types, overtime calculations, leave without pay deductions, arrears calculations, full and final, and many more such activities. Manual payroll calculations in smaller companies may easily take 3 to 4 days and if the company is a large business, it may take much longer. Besides the possibility of wrong payroll calculations, most payroll processing teams complain about significant stress and long working days prior to the payout date and consider it to be a thankless job. HR and Payroll are closely tied to each other. Although, significant man-hours are spent in payroll processing, errors continue to be reported and this leads to many problems for HR such as: costly query handling, penalties and dissatisfied staff. Using good online payroll services and following best payroll practices can streamline the salary/wages administration process in your company and help you avoid many challenges associated with payroll processing. Empxtrack has integrated HR and Payroll System and has helped hundreds of companies implement Empxtrack payroll . We have also identified some best practices that we would like to share with you. Following these will help your organization avoid many costly mistakes as also align your payroll process. A maker creates the payroll and the checker approves it. The mechanism requires involvement of different people at different stages of payroll processing to ensure that proper control and checks are exercised. For example, the payroll calculated by the “Maker” is authorized by the “Checker” before getting disbursed. 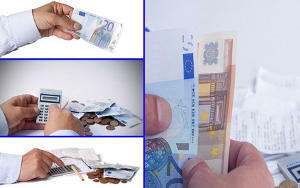 The transparency in payroll calculations in a payroll system brings credibility and acceptance. The salary slips of the employees should be distributed as a soft copy and must include all the salary heads such as the benefits, deductions, loans, advances, arrears, and LWP (if any). Further, the year-to-date values (YTD) allows the employees to view their earnings and deductions at a glance. The use of salary structures in a payroll system allows easy administration of payouts and ensures that each job is properly compensated. In addition, through the salary structures, the employees can clearly understand their salary breakup and can plan their taxes appropriately. If you have a large organizations and your offices are located in many different geographical locations then as a best practice, you must divide salary processing into groups that can be managed by local HR SPOCs (Single Point of Contact). This ensures that local statutory requirements are handled properly for the employees of the company. This also allows you to have different payout frequency for different groups of employees. The stage-wise payroll processing allows you to monitor your payroll system at each stage while it is being processed. The different stages of payroll processing can be: setup of monthly sheet, calculating monthly payroll, approval from checker, finalizing payroll, and disbursing payroll. Audits should be carried out each time when a change happens. For example, an audit following a salary structure change can be performed to find any discrepancies in payroll calculations. If errors are not caught in time, they may result in overpaying or underpaying employees. Ensure that you integrate various other systems with your payroll system. A payroll system that integrates various business processes such as: time and attendance, human resource management (for employee dependent information, address information), leave management, benefits, commission and variable pay system , investment declarations and tax reporting, and employee exit process offers maximum ROI (Return On Investment) as compared to a system that only calculates payroll. Using excel to transfer data between different systems, while used in most cases, often leads to inadvertent errors. A good online payroll services software must automatically calculate taxes accurately and should keep you free from the legal and regulatory responsibilities as an employer. It should give you all the statutory reports and also remind you periodically to file these reports with the relevant departments. A miss here can be often lead to costly litigation or significant fines. Empxtrack Payroll system is well integrated with HRIS and ESS modules to offer a comprehensive solution that considers leaves, loans, advances, overtime, incentives, and bonus etc. In addition,our payroll system allows you to handle all aspects of payroll processing and meet regulatory requirements for businesses across industries.